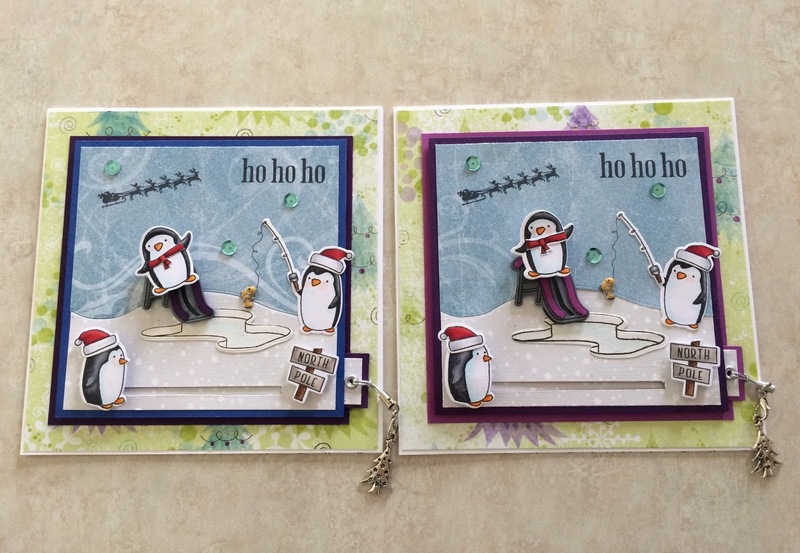 This second set of interactive Christmas cards were made for my sweet little grandchildren. As with most kids they love anything that moves, slides or pulls, which made a slider card most appropriate. As with my previous cards these were created very early, unfortunately, well before all the new interactive dies came along, the slider channels on these particular cards were cut out using a craft knife. With penguins being so playful, this particular Snow One Like You stamp and die set from Poppy Stamps made the perfect scene for a couple of little ones. 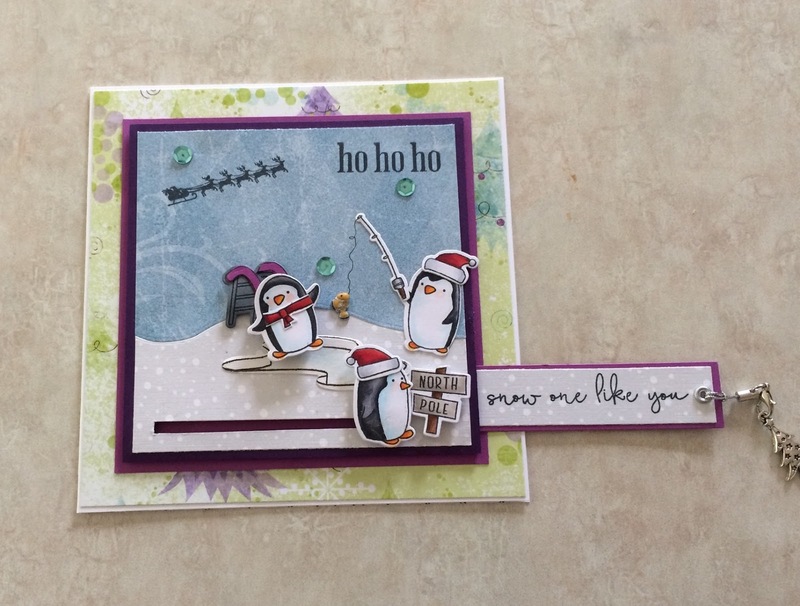 Once again the Hills die set from Your Next Stamp came in handy for creating the landscape, while Paper Smooches, Holiday Cheer "ho ho ho" sentiment along with Papertrey Ink's, Petite Places: Holiday Lane added the finishing details to this fun card. Very well done, love the penguins!